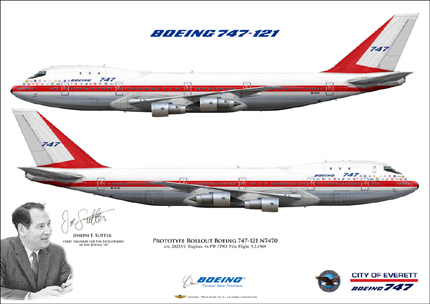 Airliner Art Gifts and Mementos for Pilots and Crew, also for Enthusiasts and Collectors Worldwide. 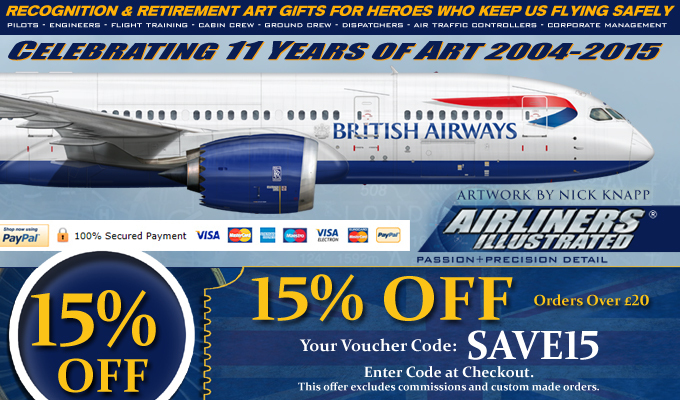 A diverse collection of Airlinerart available..
"To produce and supply outstanding high quality Aviation Art Prints and Gifts that show a high level of detail without compromise. Providing Recognition, Appreciation and Retirement Gifts to everyone who gives us the opportunity to fly safely. To serve and provide a First Class Service to the aviation industry, aeronautically inclined individuals and collectors worldwide." 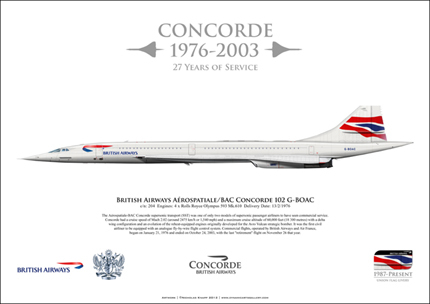 Looking for an Airliner Art Print to add a bit of impact to your living space, study room or work environment? Are you a Crew Member, work within the airline industry, aviation enthusiast, collector or an Aviation Publication? Are you a Crew Member, Aviation enthusiast, work within the airline industry, maybe work for an Aviation Publication or a collector? 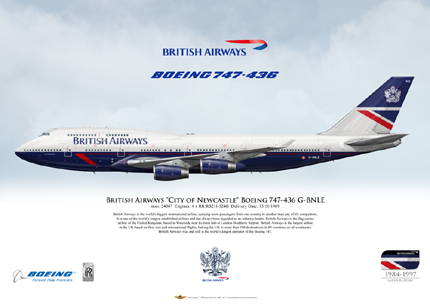 Please view a range of Airliners at my new Airliner Art webiste. Each Aircraft drawing are painstakingly researched and meticulously digitally created and painted allowing accuracy and detail. All of my artwork is printed using world–class laser-based photographic technology. 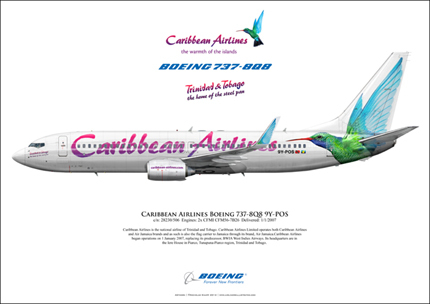 I can produce aircraft art commissions , so if you would like an artist's impression of your favourite aircraft in in any proposed colour or livery design you will be offered a first class service. Thank you for your time in reading this welcome introduction. 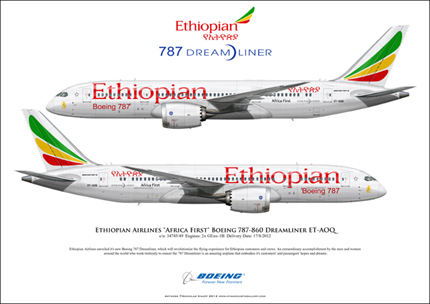 "I just received my Boeing 777 Delta print and as with the others I have purchased from you, I am delighted by the quality of the print." "Thanks again for your professionalism and personal support." 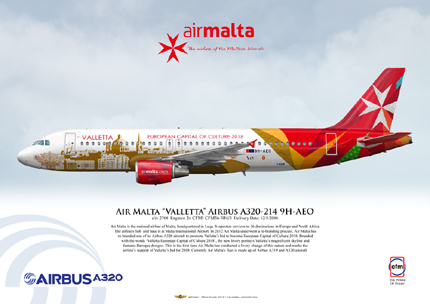 "I received the Airbus print yesterday and really love it! Thanks so much. I'll definitely be in touch for more customs." 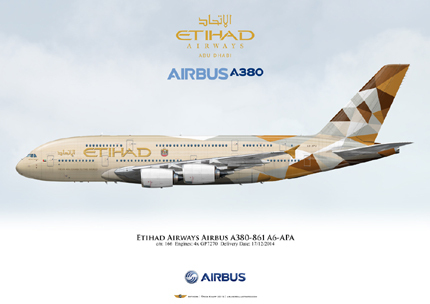 "Thank you the Airbus A380 prints look great. I'm sure that either myself or some of the other guys will be repeat customers." "WOW! The print is beautiful. Once again I am very impressed with the amount of detail and passion in your work. Thanks again and I hope to be arranging another custom in the near future!" "The prints arrived at my house this morning in great condition. They look wonderful. Thank You again and you do some wonderful work!" "FANTASTIC!! The Airbus A380 Qantas print looks amazing, better than I thought. 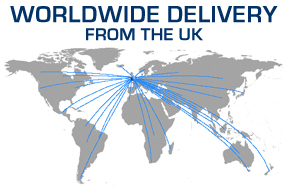 Looking forward to receiving all the prints in the post, thanks for providing such a speedy service." I'll do business business with you again." "Thanks again. The artwork is super !!!!!! 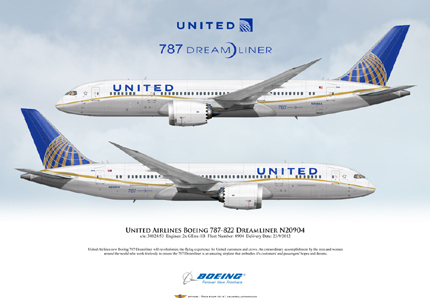 Airliners Illustrated® | Copyright © 2004-2015 | All rights reserved.